Is That Old Front Door Sucking Money Out of Your Wallet? You may not even realize it yet, but that old, worn out front door could be costing you a lot of money in wasted energy charges. Improperly insulated or uninsulated entrances can allow precious heat to escape during the winter and may allow cool air to seep out during the summertime. However, while weather stripping can reduce energy costs due to escaping air, it may be time to face the fact you need to get a new one. 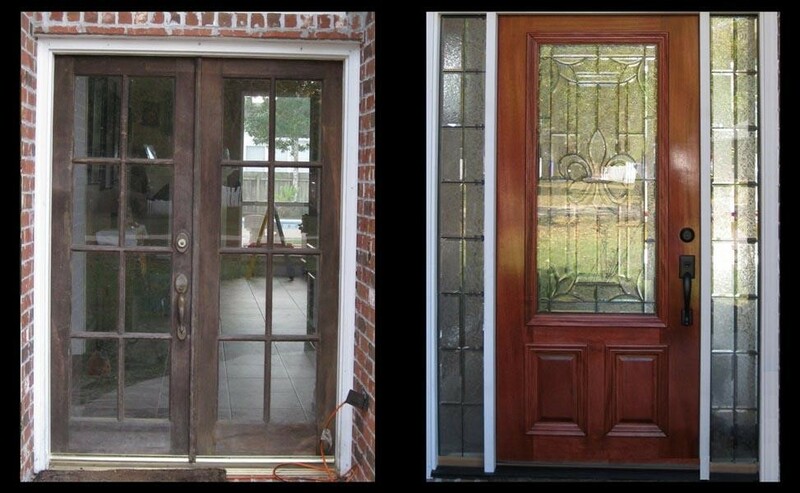 New exterior doors are often more energy efficient and fit the frame better than an old one. If you have older ones in your home, replacing them may be a good investment that reduces your energy costs all around. If you are building a new house, you should purchase the best and most energy efficient model available. When picking a door for its energy efficiency, you should take a look at their energy performance rating information in relation to the local climate and the design of your home. If you are going to get a new front entrance, you should know what R-value means. R-value is the measurement or rating of an insulated material’s resistance to conductive heat flow. The higher the R-value is, the greater the insulation’s effectiveness will be. The most common type of exterior entry is made with a steel skin and a polyurethane core. It’s usually got magnetic weather stripping and if installed properly, this type will be very efficient and need no more insulating. The R-value of most steel units is between an R-5 and R-6, so you should always select one with a higher value. Glass or patio doors lose a lot more heat than other types because they aren’t insulated very well. Most modern glass models with metal frames have a thermal break that is a plastic insulator in between the inner and outer portions of the frame. Models with many layers of glass between the inside and outside are a better value, particularly if you live in an area that’s very cold or has an extreme climate. It’s not possible to stop all the air leakage that happens around the weather stripping. Additionally, as a door gets older, the insulating strips will wear down and air will leak out and seep in and the only way to stop it is to replace the stripping over and over again. For these reasons, sometimes it is better to purchase a new model rather than continuing to throw money into an old one. If you are thinking that just adding a storm door to your house will save you money, think again. Not only does it cost more money to purchase one of these, it does nothing to help reduce energy costs, particularly if you are going to just keep the same front entry you have right now. However, you can forgo purchasing a storm model by just purchasing a brand new front door because a new one will be more energy efficient, keep the cool air inside in the summer and keep the drafts from leaking in during the winter. Whether you are planning to replace your front door because of a desire to decrease your energy costs or to make it more attractive, it can have a major impact on its appearance. This is the frame to your home and what it looks like can have an effect on someone’s perception of your dwelling. Having an old, worn out model can detract from the beauty and aesthetic value of your house, while a new one can brighten it up and make it more welcoming. Let Doors of Elegance help you increase the curb appeal and energy efficiency of your home!